Although it is without any problem a famous cross-platform tool, only Nokia Here for Windows Phone 8 will be updated this time. Although at first glance someone inexperienced would be tempted to believe that Microsoft bought every crumb of Nokia, in reality there are many elements that will remain in the treasury of the Finns. Nokia Here, the service and the application name are among the most important parts of the equation that will not be sold under any circumstances. 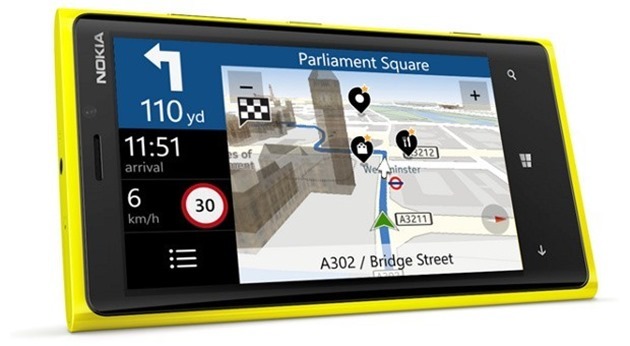 For this reason, it should come as no surprise that a major update was announced for navigation application created by Nokia. Downloading maps offline was among functions introduced on this occasion, for the first time. This feature will be manifested by the possibility to download much smaller updates in future maps, because there are not downloaded complete maps again, only differences from what was already downloaded. The update described above for Nokia Here will begin to be available now for owners of devices with Windows Phone 8, WP8 GDR2 and the lucky ones running Nokia Amber. No plans currently expressed as Android or iOS users to receive the same update. If you do not have patience, a quick solution to force the update installation is to go into Settings – Applications – Maps and do a tap on Check for updates.